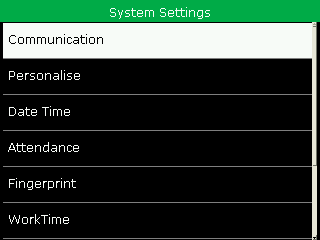 Your device could not be found on the Network using the automatic Search function in the TM/TM+ Software. Please go to you device an make sure, one of the icons is shown in the right top corner. If the device has a physical connection to the network, we can check if the it is correctly set up. 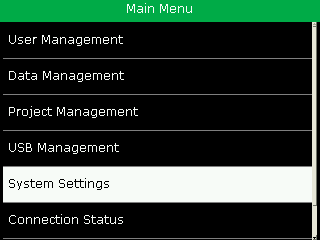 Log-In into the menu and follow the Menu according to step 1 or step 2, with the connection type you are using. 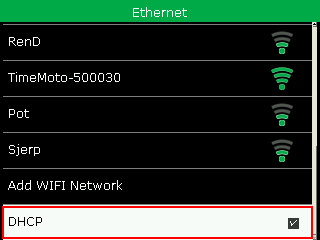 You’re now in the Network Menu where you can see the IP address of the Device. Please activate DHCP. If DHCP is already set, please deactivate DHCP first, before activating DHCP again. 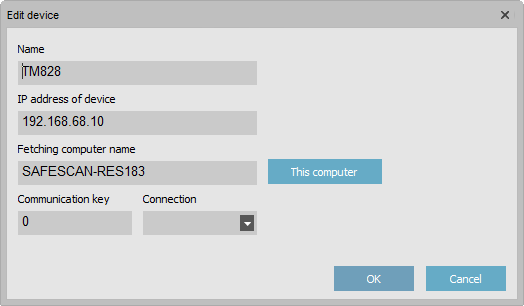 The device will trigger a request to the DHCP Server, to obtain a free IP Address. Please write Down the IP Address and go back to the Software. In Step 3, we will show you, how to find you device in the Network. You’re now in the Network Menu. 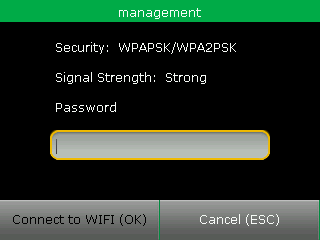 Please Check WiFi in order to enable the WiFi module. Go to the bottom of the list and check DHCP to enable automatic Network Addressing. 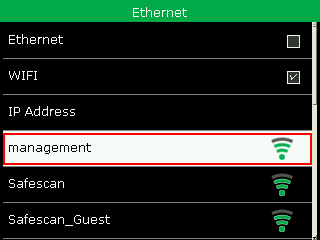 Search for the Wifi name assigned to you from your IT Admin. Enter the password you also received from your IT Admin and confirm by pressing OK. If password is entered correctly, you will see that the device is connected to the Wifi and also an IP Address is given. 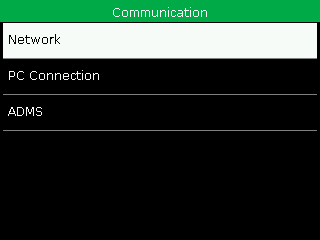 Button to search for new devices within the same network. Your device should be appear in a pop up box. press Yes to add the device to the device list. Pop up box of new device found. You need to press the plus button to manually add a device to the list. 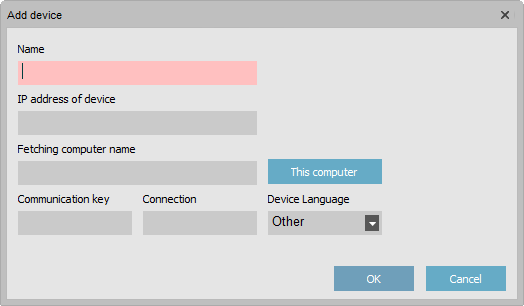 In the pop-up window, give a name to the device, fill in the IP address you noted previously, and click on the ”This computer” button to link the device to your PC. Press OK to save. Edit a Device in the Device Section. Please edit the IP Parameters Manually and Press OK. If it is not possible to connect the device by Ethernet, please make sure that at the back of the device, the Cable is plugged in correctly. Also make sure, that the other end of the cable is communicating with your Switch or Router. Ask Your IT Administrator to assist you. Please follow Step 1 once more. If your Wi-Fi Connection is lost, please try to reconnect to you Access-Point. 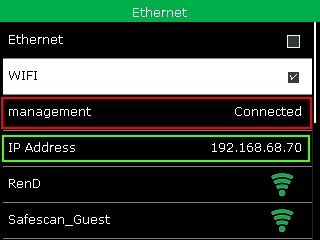 You should be connected to the assigned wifi and you should see an IP Address. If this is not visible, please follow Step 2 once more.